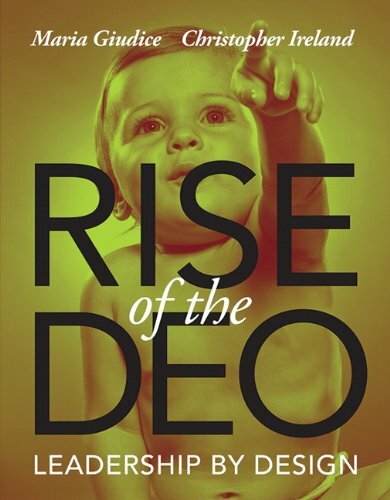 Although we co-authored Rise of the DEO: Leadership by Design, in many ways, Maria and I are opposites. She has hair with maroon and purple streaks I covet, but can’t pull off. I happily navigate Excel spreadsheets that send her racing to the bar. She asks bold questions that I can’t voice. I take gambles that make her wince. We could continue listing “Maria vs Christopher” differences, but that would only add confusion to today’s question: How is it that we collaborate so well together? Let me add that we think collaboration is the secret sauce to surviving on this planet. When you demand clean water, equal justice or world peace, you are asking for outcomes that can only arise from collaboration. So learning this skill is important. 1. Respect – Don’t even try to collaborate with someone you don’t respect. It doesn’t work. If you secretly think you’re smarter, more creative or otherwise better endowed, it will skew your participation. You’ll be holding back or you’ll be overly judgmental. You’ll want to be the one in control. 2. Tolerance – Collaboration is a messy process. There are no neat boxes to chart progress, no arrows pointing to the right direction, no set rules or roles. Instead, it’s like building sand castles. Under the best circumstances, you get caught up in your vision and the fun of creating, so it doesn’t matter much when a rogue wave makes you start over again in a new location. 3. Excitement – If collaborating feels like a chore, you’re likely in the wrong business or on the wrong team. “Jamming” with talented colleagues to co-create something you value should feel wildly stimulating, even if you’re not the excitable type. 4. Focus – We are not fans of open-ended, vaguely-directed brainstorming. It’s indulgent and rarely productive. When we collaborate we always have a specific end goal in mind: a class to teach, a book to write, a website to build. We may divert ourselves briefly and we certainly tolerate “flyers,” but we know how to get back on track. 5. Appreciation – Collaboration needs to be fed with large doses of “thank you” and “great job.” A process that takes time, flexibility, and openness should not be taken for granted. We routinely thank each other and our colleagues. We make a point of acknowledging breakthroughs or interesting ideas. And we take turns picking up the tab at our after-collaboration celebrations.